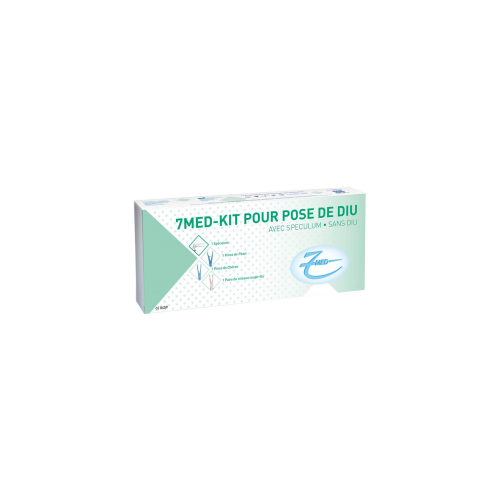 Laboratoire 7 MED wanted to give users and doctors access to its know-how in the field of disposable medical-surgical devices? by developing the specially designed 7MED 380 TSHA Intra- Uterine Device , in the short version for nulliparous patients, copper diffusion is optimized thanks to the copper rings on each arm. WHAT IS 7MED 380 TSHA? 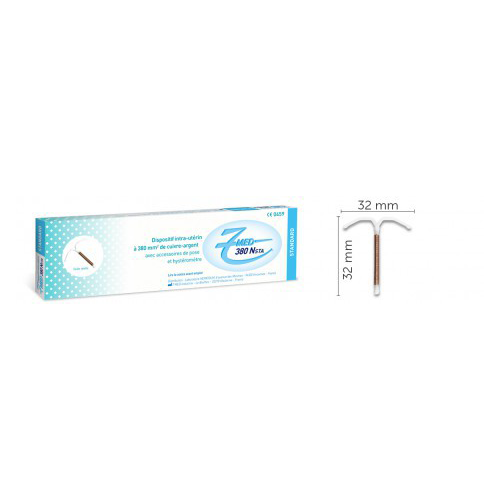 7MED 380 TSHA is an intrauterine device: ready-to-use, in sterile pouch, consisting of two flexible polyethylene arms, a copper wire, starting from a vertical axis, X-ray opaque, around which s ‘roll up the copper wire. It specifically has 1 copper ring on each arm, allowing optimized copper diffusion. 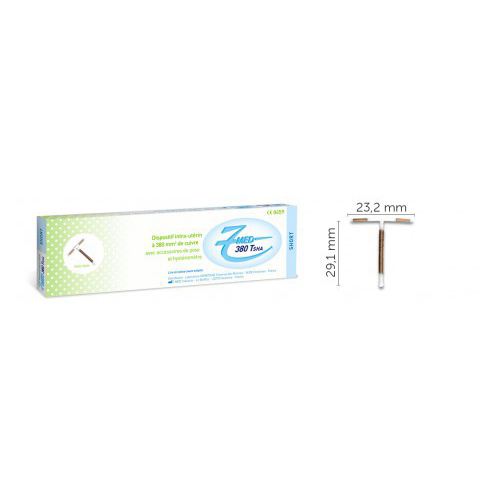 The total copper surface is 380 mm 2. A monofilament polyamide yarn is attached to the base of each device. HOW DOES THE INSTALLATION OF THE 7MED 380 TSHA WORK?